(Ver 2.3) This is Part 1 in the series of Bible lessons on “Does Eating Fruit Kill You”. But this is also Part 2 in the series of Bible lessons on the subject of “Understanding Genesis 3” If you would like to start reading the Genesis 3 series with “Part 1” you may click the link and start there. Two of the primary themes found in the 3rd chapter of Genesis are man’s response to God’s instructions and the temptation of man to ignore God’s instructions. If you have been reading my lessons, you probably noticed that I do not stray from controversy and today will be more of the same. The book of Genesis is full of complex subjects, symbolism and many hidden spiritual truths that challenges us to figure out what is literal and what is symbolic of a much higher spiritual truth. Differentiating between the physical and natural things found in Genesis from the spiritual and supernatural things found there is one of the greatest challenges that God has given to us in reading and understanding the Bible. Over and over I have heard Bible teachers teach that the tree of life and the tree of the knowledge of good and evil were literal physical fruit trees in the middle of a natural garden; real physical trees, producing real physical fruit. It is a fascinating idea or concept, but one that I believe does not hold water when analyzed by other scriptures found in the Bible. Too many times people teach the Bible in isolation, ignoring what the rest of the Bible says on the subjects that they are studying. This of course results in private interpretations based upon very limited information and leads us into confusion. In order to correctly interpret the Bible we must always follow God’s rules of Bible Interpretation. If you do not know that God has given us rules to interpret the Bible then you should probably go find out what these are before you do any more study of the Bible. So we see Satan speaking a thought in the mind of Eve, questioning the command of God. Or was it a question? It appears to me to be a statement of fact. So many times we want to look at Satan as the father of lies and think that is all he is capable of speaking, but that is definitely not true. Satan will always use the truth if he thinks it will work to his advantage. Satan is very tricky and many times he will start with the truth and then twist it or misapply it to get you off of what was originally intended. You see the truth was that God did make that statement and told Adam that “every tree in the garden was available to him for food”. Genesis 2:17 But of the tree of the knowledge of good and evil thou shalt not eat of it: for in the day that thou eatest thereof thou shalt surely die. Proverbs 18:21 Death and life are in the power of the tongue: and they that love it will eat the fruit thereof. Uh oh? We can clearly see another paradox of Biblical proportions. God tells us how we live and how we die and it is a result of the power of our tongue. What God is doing is showing you the difference that your spoken words can make in your life. The human mouth is a uniquely designed opening in the human body. The mouth takes physical food in, but it also speaks spiritual words out of it. This is why God connects both kinds of trees together in Genesis 2. Adam didn’t die by physically eating anything. It is fascinating that it also speaks of this process as being related to eating fruit, but, this is spiritual fruit and not physical fruit. Is this a coincidence or is God trying to teach us something about the connection of natural fruit to spiritual fruit. Isn’t fruit what Eve and Adam are said to have eaten? Genesis 3:6 And when the woman saw that the tree was good for food, and that it was pleasant to the eyes, and a tree to be desired to make one wise, she took of the fruit thereof, and did eat, and gave also unto her husband with her and he did eat. Matthew 15:17 Do not ye yet understand, that whatsoever entereth in at the mouth goeth into the belly, and is cast out at into the draught. Here are words directly from God about natural food. He asks us a simple question; “don’t you understand the difference between natural things and spiritual things”? He tells us that whatever we put into our mouths goes to our stomachs and is then flushed down the toilet. He is declaring a very simple truth that this is not what killed Adam. God says that this is not what makes a man unclean. If you continue reading in the chapter Jesus says that it is what comes out of the mouth that defiles a man, because these are the things from his spirit. This is what kills a man physically. Matthew 15:18 But those things which proceed out f the mouth come forth from the heart (spirit) and they defile the man. It is so fascinating when you put things together correctly in the Bible. You can see that Jesus tells us what killed Adam and we didn’t even know it until now. Too many times we try to interpret the Bible with our natural minds and we just need to figure out what God says about the subject to really understand it. God’s perspective is so much better than ours. Don’t you think? What we have seen is information found in the Bible that tells us that a spiritual reality is more important to see than a natural one that is not true. 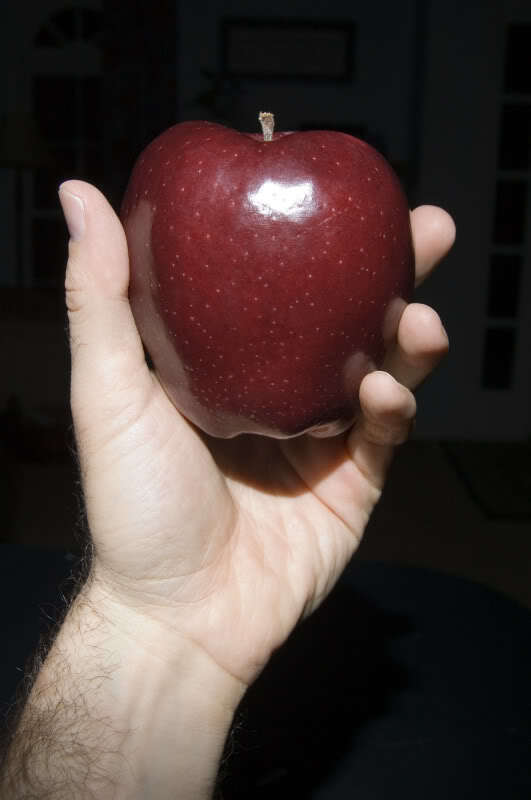 So people, who teach that there was a physical apple tree that Eve picked fruit from and ate it to kill them, do not understand many things about what God wants to teach them in the Bible. I hope if nothing else that I have challenged you to think differently today and not to try to understand the Bible story of Adam and Eve in isolation from the other related verses found in the Bible. If you want to continue reading this series you can continue to “Part 2”. Posted on November 30, 2009, in Bible Study, Chapter 3, Genesis and tagged Bible, Christianity, creation, Genesis, God, Interpretation, Jesus, man, Prophecy, Revelation, Satan, Symbolism, Truth, understanding, woman. Bookmark the permalink. 4 Comments. What about God telling the serpent he would crawl on his belly? I have this question addressed in other Bible lessons on this same subject. Please keep reading and hopefully it will be explained for you. The quick answer is that this was a prophecy for Satan the spiritual being and it has not come to pass. God Bless. I agree with your explanation that the tree of knowledge of good & evil and tree of life represent spiritual trees with spiritual fruits but how did Adam and Eve disobey God by eating the fruit of knowledge-tree? I agree with your interpretation of our Father’s Word, but what do you think Eve meant by “we can’t even touch it.” God clearly gave Adam the command that He was to tend to every tree in the garden, but he could not eat from the tree of knowledge and evil. Why would God allow us to touch the spiritual fruit of knowledge of good and evil? What can this touching represent? Could it be the free will He gives us?